Like other CMS platforms, Drupal allows us to create custom themes and templates. In this tutorial, you’re going to learn how to create a new theme and defining or configuring a theme in Drupal 7. 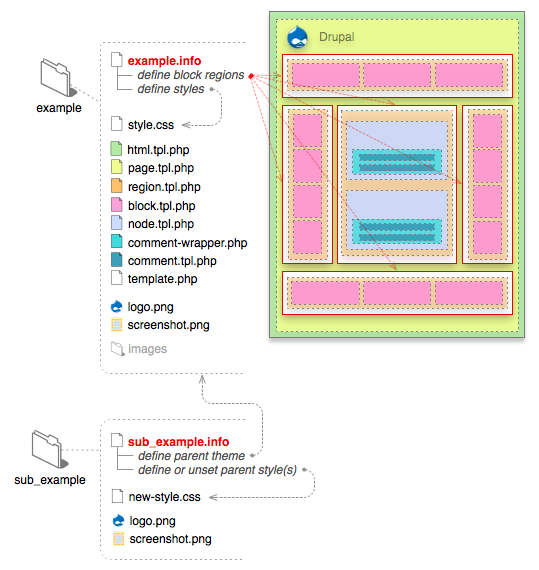 To define a new theme in Drupal 7, you need to create folders and files according to Drupal’s rule. 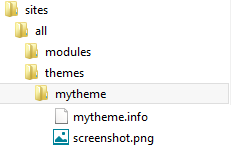 mytheme is the folder that contains themes and can be renamed to your theme’s name. screenshot.png is thumbnail of theme, which is showed in theme management section. The .info file is a static text file for defining and configuring a theme. Each line in the .info file is a key-value pair with the key on the left and the value on the right, with an “equals sign” between them (eg: name = my_theme ). So, you’ve just created a new theme in Drupal 7. It's not a difficult task, right? Try our Drupal CMS with Free ASP.NET Hosting today and your account will be setup soon! You can also take advantage of our Windows & ASP.NET Hosting support with Unlimited Domain, Unlimited Bandwidth, Unlimited Disk Space, etc. You will not be charged a cent for trying our service for the next 3 days. Once your trial period is complete, you decide whether you'd like to continue. 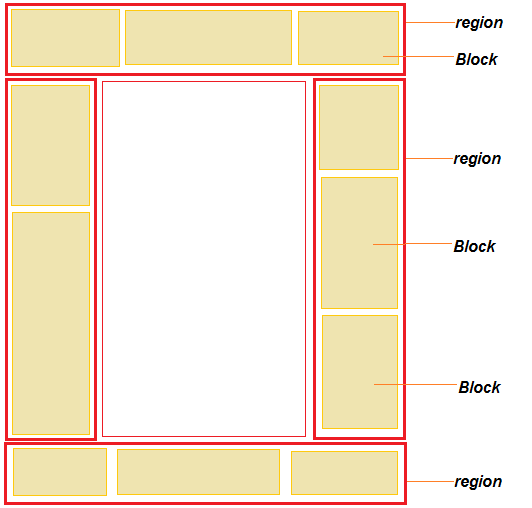 Today, I'm gonna tell you how to create an image style programatically from Drupal Module. You can use this in a .install file to create the needed image style when the module is installed. Hope this will works for you. Drupal CMS with Free ASP.NET Hosting - HostForLIFE.eu :: Fixing Drupal Fatal Error "Allowed memory size of A bytes exhausted (tried to allocate B bytes)"
You will probably see this error message when you install new modules/themes. By default, Drupal 6/7 allocates 64M (megabytes) of memory on your website and so, to fix this issue you need to increase memory limit to higher value (128MB is fine). 3. If it’s existing, open the file with text editor (notepad) and add the value php_value memory_limit = "128M"
4. If there’s no php.ini file in root folder, then you need to create one. Use notepate, wordpad or whatever can edit and save text file as .ini file add the value php_value memory_limit = "128M"
That’s all for today, hope you will solve this issue immediately after reading this! Importing text content utilizing Drupal feeds module is simple. Importing images utilizing feeds is simple as well however it needs a little function and it's not as straightforward as importing text content. "SKU";"Title";"Description";"Brief Description";"Taxonomy Terms";"Product Selection";"Product Images"
"IMPORTED-PRODUCT-1";"Imported product display one";"This is an imported product one. This is an imported product one. ";"This is an imported product one";"Clothing~Jackets";"IMPORTED-PRODUCT-1";"http://mysite.local/sites/default/files/compressed/image1.jpg~http://mysite.local/sites/default/files/compressed/image2.jpg"
1. The preferred method to accomplish this task is to install the jQuery Update module. If using jQuery Update, you must also configure the jQuery Update setting to the appropriate version after it is installed. You must configure (admin/config/development/jquery_update) the version you need to make use of. Selecting from cdn i.e(jquery, google) will fix the error for sure, if not follow the other steps down. 2. Install Libraries API module and enable it , Install Bootstrap Libraries module and enable it. The steps above will override all the old/existing jquery version and will be compatible with your bootstrap files.